Things aren’t always what they seem to be. 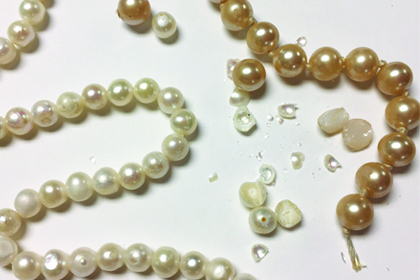 So I am a big believer in destruction testing, especially with pearls. Secure test a pearl to a bench block with clear plastic tape so you can see it. Place on a sturdy surface, such as a stump. Put on safety glasses and strike the pearl with a fairly light hammer. Then examine the layers through a lens. 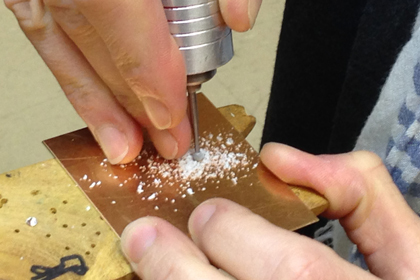 Knowing where the solder seam is sure comes in handy! 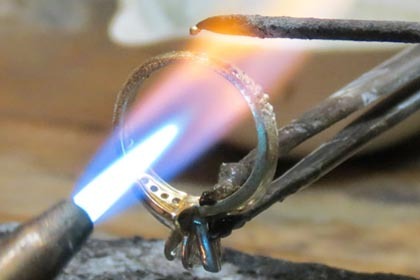 Looking for the solder seam on a ring you are repairing? Have no fear! This simple trick from Wayne Werner will help you find it in no time! Stone setting got you stressed? Here is a great trick from Lindsay Mis that will have you setting stones with ease and with good smells!